The copier should be ready to print, scan, or copy. Jump to the one of the sections below. 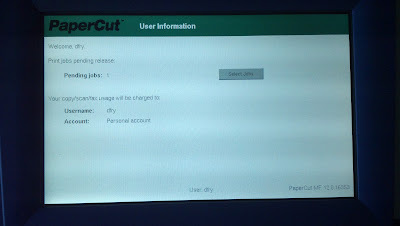 Print the document from your computer to the printer called "Printer on PaperCut" or Just "Printer"
If you want to send the job to another user, you can use the printer called "Group on Papercut", then enter the username (person you want to send it to) in the box. 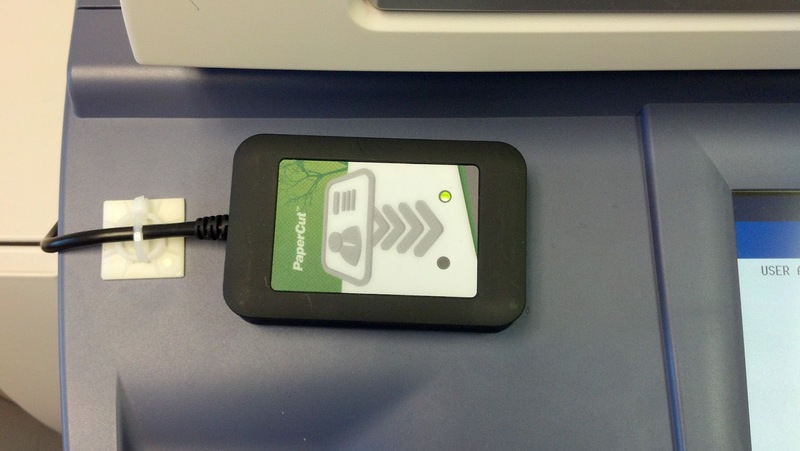 After you scan your card, you should see the green paper cut screen below. 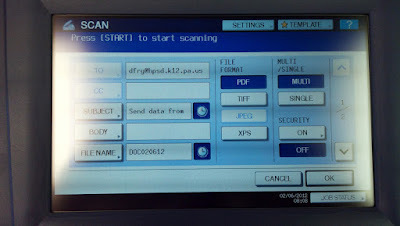 If not hit the Menu Button on the copier and then click the extension button on the touchscreen. Hit the "Select Jobs" on the touchscreen. A list of your currently held jobs will come up on the screen. 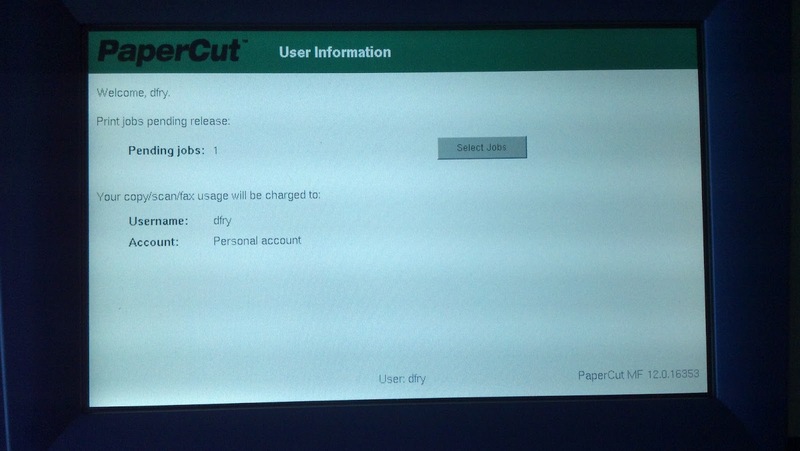 Click on the Print button beside the job you want and it will print out. 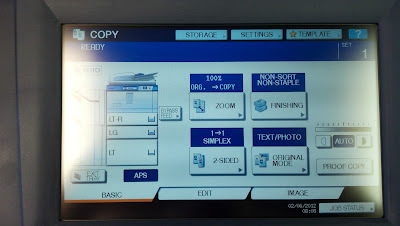 Proceed to select your options and make your copies. Put your documents in the document feeder, and hit the Green Start Button on the copier. The document will be delivered to your email. Make sure you hit the "Access" button by the keypad to logout.